Make sure your clinic is a happy place, both physically and culturally. This includes everything from the parking lot to the staff on your team. Many owners and managers walk through the same door five days a week and over time become less aware of the actual status of their office. For some it may be for financial reasons; they don’t want to address esthetic issues in the office due to the price tag that is attached to the fix. For others, it is due to not being high on their priority list. Managers and owners need to realize that by not addressing it, you may be costing your practice much more! A Gallup Poll in 2005 identified seven factors that are key determinants of physician office patient satisfaction that differentiated “average practices (50th percentile)” from “best practices (80th percentile)”1. “Atmosphere and attractiveness of the office” was included as the 4th most important differentiating factor. 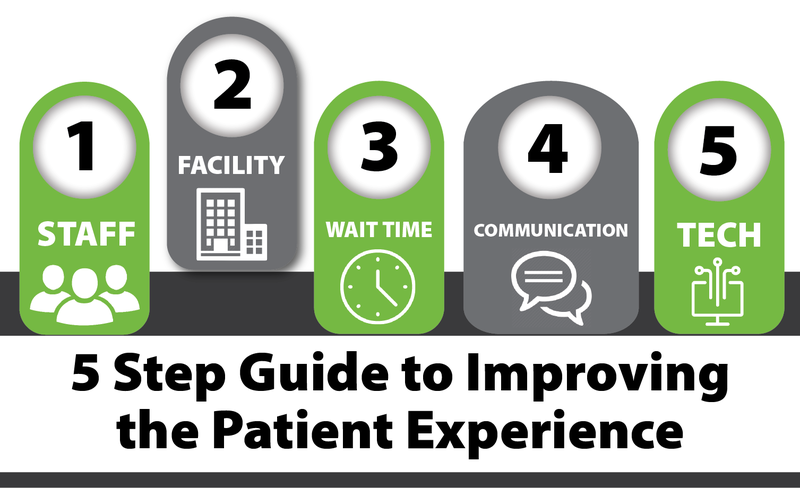 Since patient satisfaction has been directly linked to patient retention, this is a significant issue. So rather than focusing on the cost of the updates, clinics should think about the potential cost to their bottom line when patients opt to go somewhere with a more attractive office. Storefront/ parking lot: if the outside of your clinic is lacking, work with your management company or landlord to correct paint, cracks, water damage, landscaping, etc. to make sure the person walking by your clinic isn’t turned off. They might just keep walking! You are already paying for these services in most cases, make sure your building management team is working as hard as you are. What is the condition of the furniture? If it looks old or worn, think about having it reupholstered or replacing it. Are ceiling tiles stained or mis-fitting? Color pallet of the office, is it outdated? How are the carpets? Do they need cleaning or replacing? Treatment tables ripped, have tape holding it together? Not only is it unsightly, it can be an infection hazard and something you could get dinged on by an inspection from an accreditation agency. Make sure tables are working well and not damaged. Is your equipment dated? Does your clinic possess modern technology? How loud is your facility? The sixth essential element to patient satisfaction regarding hospital visits, was the cleanliness and quietness of the setting according to Medicare.gov2. If your clinic has the look and feel of a gymnasium, that might not be ideal. How does the front desk look? If it is cluttered or has multiple pieces of paper taped to the wall; is that the look a manager would want patients seeing as their first and last impression of the clinic? All of these factors will play a part in the patient’s perception of an office. Miss on several of these areas, and staff may be fighting an up-hill battle regarding patient satisfaction before they even introduce themselves. 1. Blizzard, R. Patient Satisfaction Starts in the Waiting Room. FEB, 2005. http://news.gallup.com/poll/14935/patient-satisfaction-starts-waiting-room.aspx.